The best social media tools to use! Setup your free Buffer account using your Facebook or Twitter login. 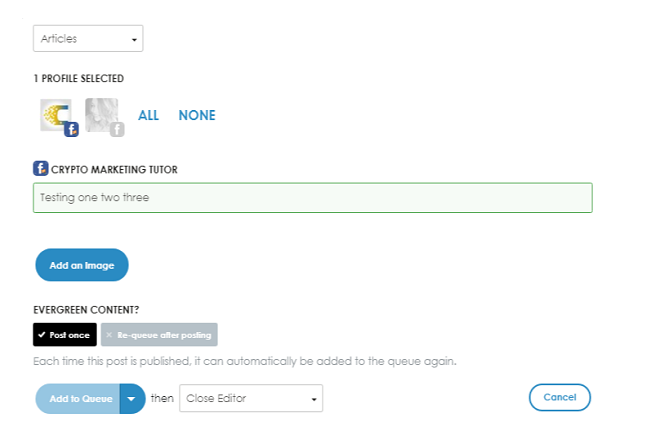 Next you will want to setup your content posting schedule. Click on settings in the upper right hand corner and then select “Posting Schedule”. 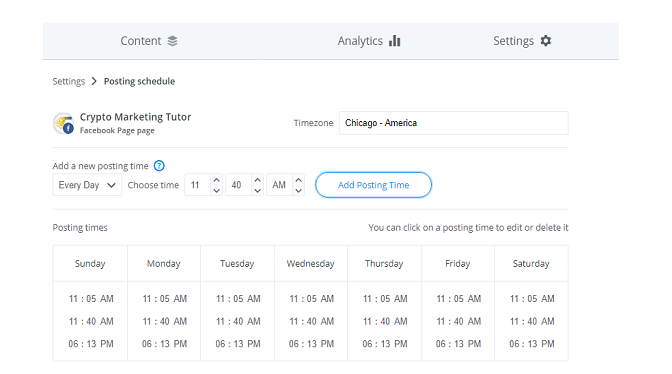 Select the times of the day that you would like posts to be automatically scheduled to your page. Click “Content” tab and begin scheduling in your posts! Create your free smarterqueue account by signing up with your Twitter or Facebook account. 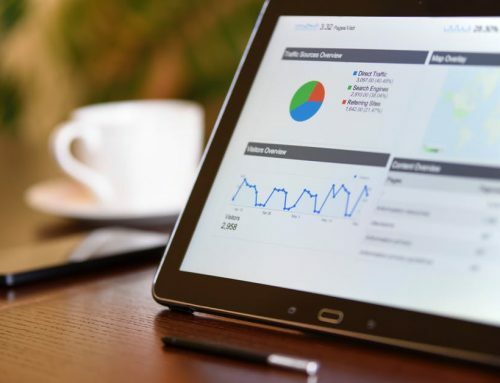 Next you will want to connect your Facebook business page. Click “Add a Page” under Facebook on your homescreen. Setup your categories following the tutorial provided at startup. You will likely need two categories: “news” and “promos”. You can use the news category for any trending Bitcoin news and the promo for My Crypto Marketing Center and USI-Tech promo posts. 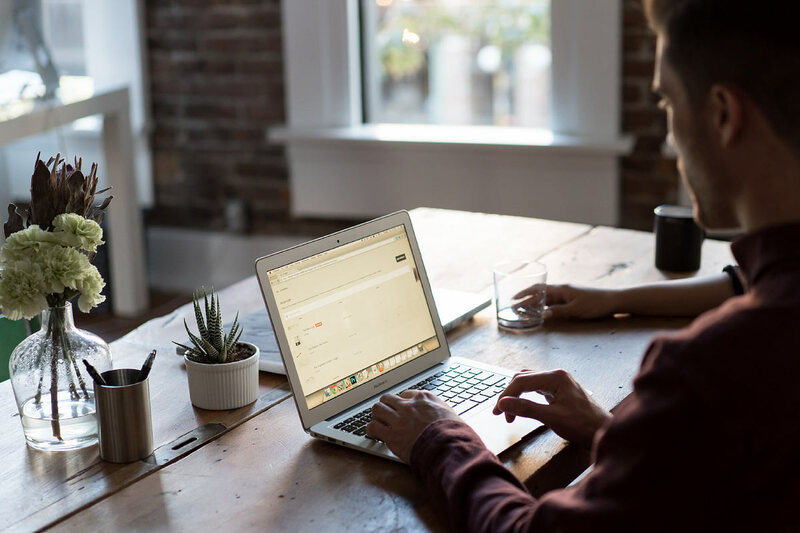 Now you will want to setup your posting schedule. Click the times on the calendar that you would like to post daily. Simply hover over the timeslot and click the “+” sign to add. 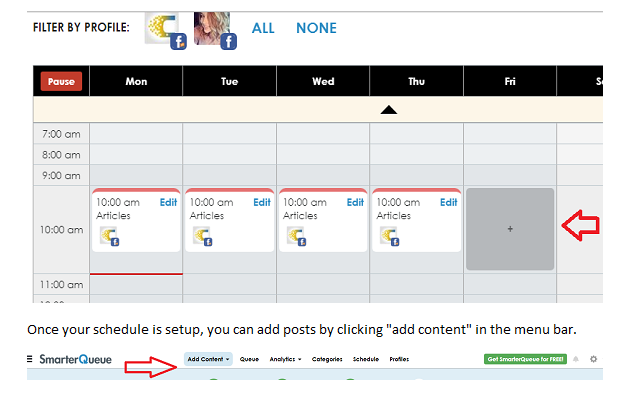 Once your schedule is setup, you can add posts by clicking “add content” in the menu bar. Then a content creation window will open. Select the category and profile you would like the post to be placed in before typing in your post text. You can add images and links here as well. Select post once for content that is time sensitive or “re-queue” for posts that are evergreen and you would like to post multiple times. Once finished hit “add to queue” and you are finished. 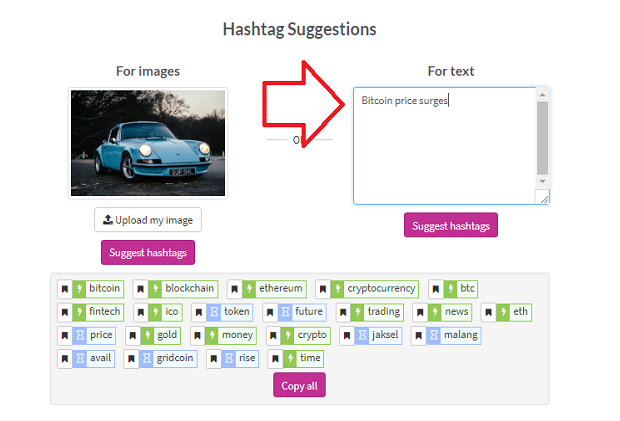 What hashags should I use? You can either use the extension or the RiteTag website to draft your posts for free. Create your free RiteTag account using your Facebook or Twitter account and then go to your “Dashboard”. Click hashtags and input your post text. RiteTag will populate suggested hashtags below. 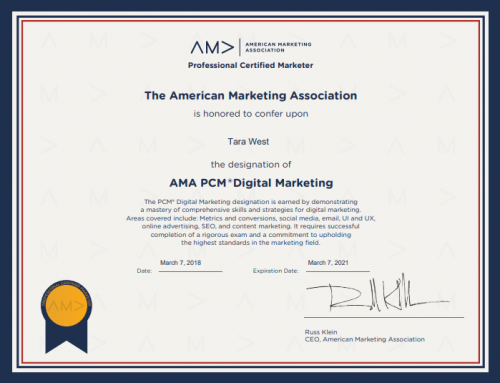 Looking for someone to manage all the ins and outs of your social media strategy? Contact us today for your free consultation.